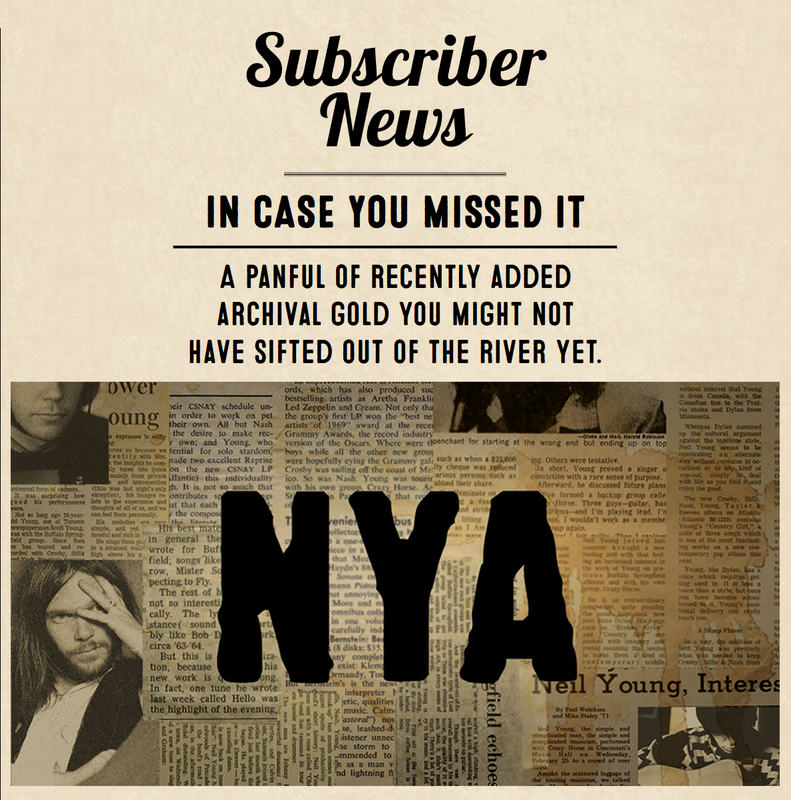 From Subscriber News| NYA, a posting pointing subscribers to updates of "A panful of recently added archival gold you might not have sifted out of the river yet." a German review of "Comes A Time"
Full details on Subscriber News | NYA. More updates on Neil Young Archives.